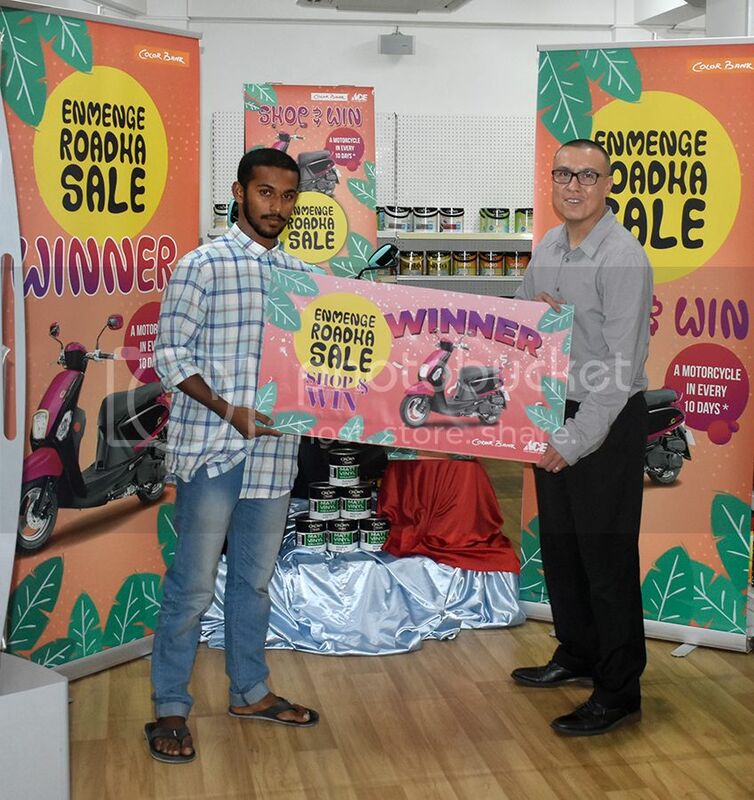 Mr. Jacob Reyes, Global Services, Director of ACE Hardware Corporation International hands the Motorbike to the winner, Ali Shaam, G. Shaamraa, A371932 Shop above MVR 299.99 at ACE Hardware or Colorbank & stand a chance to win a Motor Bike in every 10 Days! Enjoy the biggest Sale in town from 1st April to 31st May! Co-Load Maldives is awarded the #GOLD100 award by Corporate Maldives for the third year in a row. Participants taking part in the Color Bank Sikkens Automotive Training this year has departed to Jakarta. Participants in the training include customers and employees of Color Bank. Co-Load Maldives Pvt. Ltd. donated MVR 35,000 to Advocating the Rights of Children (ARC). Ace Hardware has launched a promotion in celebration of their 7th Anniversary on the 1st of December with special prizes for the winners. ACE Hardware & Home Centre announced Eid Holidays special sale today with new arrivals of products specially for the upcoming Eid Holiday. 26 Jul 2018, 09:00 | News Ace celebrates Maldives 53rd Independence Day with a Bag Sale! Ace Hardware & Home Centre Maldives celebrated 53rd Independence Day of the Maldives with a Bag Sale on 26th till 28th July 2018. © 2014. Co-Load Maldives Pvt Ltd. All Rights Reserved.